Your vehicle's suspension system has two jobs: to prevent the passengers from getting tossed around inside the vehicle every time it hits a bump in the road and to keep the tires firmly planted on the road around every corner and over every bump. To see your suspension system, you'll have to look under your vehicle. Anything that connects the wheels to the vehicle's frame is part of the suspension system. They're heavy-duty parts that work hard while you're driving and take a lot of wear and tear. Because of this, you should have your technician at Affordable Transmissions look at them once a year as part of your preventive maintenance routine. A good time for it is every time you get your alignment checked. If your suspension is in trouble, you often feel it in how your vehicle drives. You should get a check of your suspension system: if the vehicle pulls to one side or wanders, if the steering is erratic, if your ride isn't as smooth as it should be, or if your vehicle handles poorly. Uneven tire wear can also indicate worn parts in your suspension system. If your shocks are leaking oil then they definitely need to be replaced. All in all, if you don't feel in control when you're driving, go get your suspension inspected. Shocks and struts wear out. Wheel bearings may need to be repacked every few years. Some parts of your suspension may need to be lubricated whenever you change your oil. Preventive maintenance is the key to keeping your vehicle under control. Good care can prevent accidents for Brooklyn Park drivers. If you are in an accident, even a minor one, it can damage your suspension system or knock your wheels out of alignment. Even hitting a curb, pothole or large rock can damage your suspension. A wheel balancing or alignment won't correct a suspension problem, and after any suspension work, you may need to get an alignment. 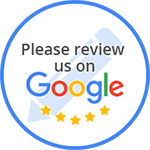 At Affordable Transmissions, we advise Brooklyn Park drivers never to procrastinate on getting their suspension system repaired. A damaged suspension system can lead to loss of control of a vehicle in an emergency situation and serious accidents. Potholes are unsightly nuisances around Brooklyn Park, but they're also a major cause of suspension damage for Brooklyn Park vehicles. To avoid this, Brooklyn Park drivers should always keep their tires properly inflated. This gives the tires maximum resiliency. When you're driving around the Brooklyn Park area, avoid potholes if possible. If you can't avoid one, then slow down before driving over it. Slower speeds limit pothole damage. But if you're a little late detecting a pothole, don't brake on top of it. This will throw the vehicle's weight forward and increase the damage. The suspension system may not be pretty to look at, but it provides you with a safe, comfortable ride — as long as you maintain it properly. You don't have to show it off, but you should be proud of it. A vehicle's suspension system is tough. It can last for years and after lots of driving for Brooklyn Park drivers. But it can be damaged quickly by hitting a pothole, curb or rock, and it can wear more quickly if you frequently drive off-road or on bumpy roads. A workhorse vehicle — one that hauls heavy loads — is also going to be hard on its suspension system. Because the useful life of your suspension system contains these elements of unpredictability, it is important for Brooklyn Park drivers to have them inspected periodically. Worn, broken and missing parts can be identified during an inspection at Affordable Transmissions . An ineffective suspension system will decrease the driver's control over a vehicle, so when it is damaged it frequently leads to the worst kind of vehicular damage — dangerous accidents. The suspension system is composed of springs and shock absorbers (or shocks). Springs suspend the weight of the vehicle above its axles. They allow the vehicle to “bounce” over bumps, which reduces the force of the impact on the vehicle. Shocks reduce the rebound of the “bounce,” smoothing out the ride of the vehicle. They also force the tires to retain constant contact with the road. Shocks are responsible for “handling performance,” or the ease with which the driver controls the vehicle. 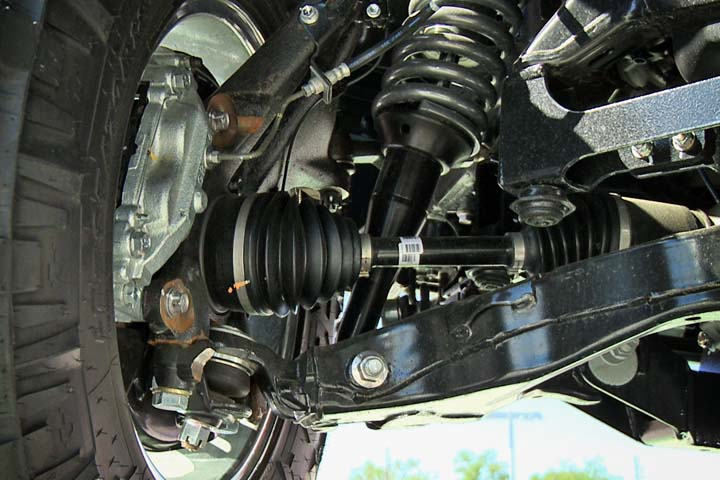 The springs in the suspension system are heavy-duty and rarely break or wear out. Shock absorbers are tough, too, but they will wear out. Your vehicle might be equipped with struts. Struts are a combination spring and shock absorber. Struts, like shocks, have a limited life span. Inspecting shocks or struts for damage and wear should be part of your preventive maintenance routine. Since a good suspension system is ultimately a safety feature of your vehicle, it's always better to be proactive about its care. In this case, good car care can prevent accidents. There are some signs that will warn you that your suspension system may be in need of attention. One of the signs might be a cupped wear pattern on your tires. This is caused by the shocks bouncing unevenly. Other signs of bad shocks manifest themselves in the handling performance of your vehicle. You may notice a drifting sensation when cornering, often referred to as a “floaty” feeling. If the front of your vehicle dips significantly when you brake or if it rocks back and forth after stopping, it's time for new shocks. Your technician at Affordable Transmissions will check your shocks visually. If they're leaking, they need to be replaced. Any one of these symptoms warrants an inspection of the suspension system. You should also get your suspension system inspected if you are involved in an accident involving one of your wheels. Brooklyn Park drivers should never put off suspension repairs. If you experience suspension system failure, it can cause a serious accident. If one of your shocks needs to be replaced, then replace all four of them. This allows for even handling of the vehicle. Replacing just one of the shocks is rarely good auto advice. When you replace your shocks or struts, use parts that are equivalent to — or better than — the original shocks on the vehicle. The original equipment was for the weight and expected use of the vehicle, and Brooklyn Park drivers should never downgrade. Upgrading, however, is another matter for Brooklyn Park drivers. If your suspension system gets a workout or you just want to improve your vehicle's handling performance, then you should upgrade to a better shock. If you haul heavy loads around Brooklyn Park or tow a trailer, then you should definitely be getting heavy-duty shocks.